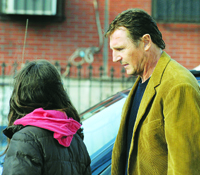 Based on the novel of the same name by Lawrence Block, the film revolves around Matt Scudder (Neeson), a cop who is hired by a drug dealer to find out details about the murder of his wife. Though the makers call it a mystery-thriller, it is just an action film without any car chases and special effects. 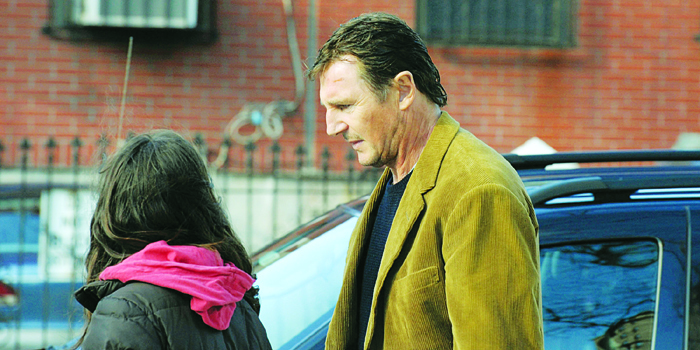 Watch it for Neeson who is compelling and authoritative. This plot is not new to Bollywooda��not after Bluffmaster and Ladies vs Ricky Bahl. The story is about Gullu (Chopra), who is trying to stay far from dowry-hungry families. She then meets Taru (Kapoor), who owns the oldest kebab place in Lucknow. While Chopra gets repetitive with her acting, watching Kapur in bright yellow kurtas and surma, hurts the eye. Do not go expecting a food based movie. It centres around a haunted mansion and the supernatural happenings there, after the heirs converge to sell it. While the ghostly presence is a crude, in-your-face act with cliches abounding, ita��s in the humour quotient that the director scores. Unfortunately, these moments are few and far between. Hansika seems miscast as the rustic belle. Santhanam manages to pep up the narration to an extent, preventing it from being a total downer.